C’est Chic Boutique Imports Clothes and Accessories from France - Minneapolis Riverfront News - Minneapolis Riverfront Neighborhoods. Want to dress like a Parisienne? You can, without traveling to France. Paris fashions, known world-wide as a city of best-dressed women and a spectacular fashion hub, can be had in the Minneapolis North Loop for a fraction of high-fashion pricing. Pam Pappas Stanoch opened C’est Chic Boutique eight years ago and has persevered through the ups and downs of North Loop shopping. 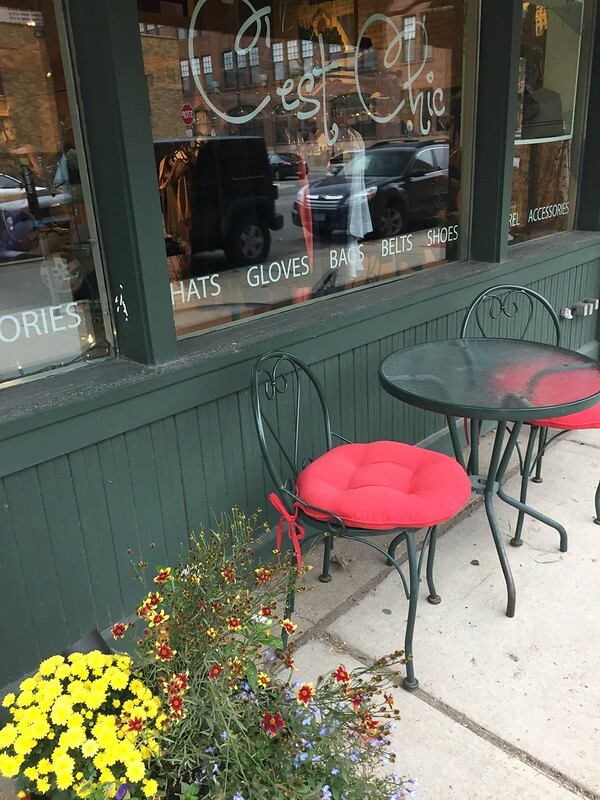 This charming store, at 210 North 2nd Street in the Warehouse District, carries Pam’s determination to bring French fashion to Minneapolis. Pam Pappas Stanoch, owner of C’est ChicPam herself has an interesting background, starting out teaching high school French; she is highly fluent in the language. Then, armed with a Master’s Degree in International Relations and Intercultural Communication, she morphed from teaching to starting her own global business based on cross-cultural training, a specialty she continues to this day. But always, in the midst of her global travels to such places as China, Singapore, Rwanda (both before and after the genocide), India, Brazil, and, of course, France, it was her heart’s desire to open a shop featuring French clothing in Minneapolis. She chose a Paris model for what she wanted to create in Le Grain de Sable, (Grain of Sand), a small French shop on the Ile St. Louis in Paris. 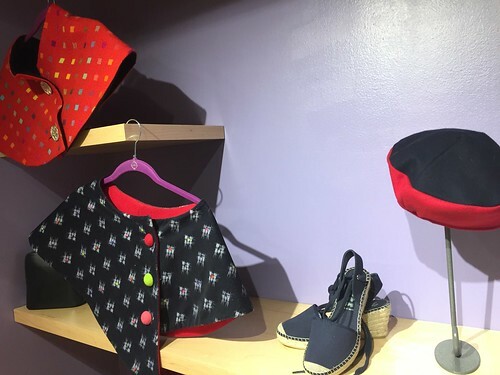 Starting out with this idea, C’est Chic now offers a range of French clothing and accessories for women, including dresses and coats, jackets, purses, fabulous hats and scarves. Pam does all her buying at the Salon, a fashion hub at Porte de Versailles in Paris. She shops twice a year, and looks for smaller and more original designers. “Some of these designers are really small; I like to find new designers before they get too big,” Pam notes. Many of her offerings are only available in the United States at C’est Chic. She has even added some products imported from Italy – beautiful Italian purses, for example. She also occasionally features local jewelry designers. 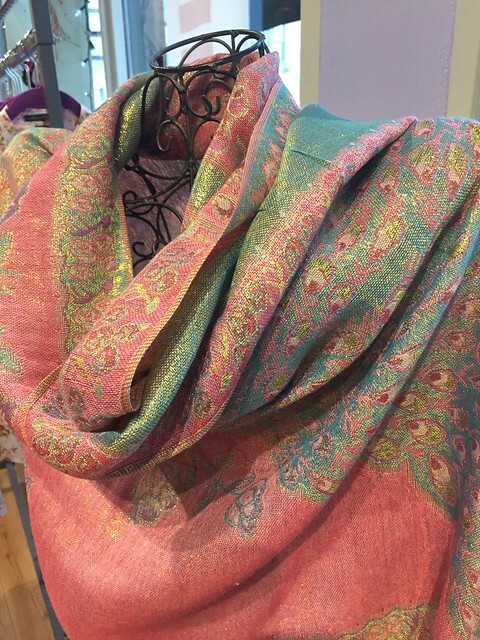 Taupe anyone?But there’s more: Pam led a group of customers to Paris this year on a French shopping trip taking them to designer workshops and to her favorite spots in Paris. And C’est Chic regularly puts on special events in the shop for tips on putting a wardrobe together, such as how to work with colors besides black (“…Navy is the new black,” says Pam), how to accessorize, how to wear stripes, and even French make-up and skin care. Watch the website or get on the email list for these events because they fill up quickly. Keep watching the shop all during the year as Pam’s stock choices rotate with our Minnesota seasons. Pam herself is a dynamo. Carrying on her world-wide cross-cultural training business and running C’est Chic Boutique adds up to more than two full-time jobs. Somehow she thrives on being the center of all this activity. Pam’s personal Christmas parties are legendary for their food, their French influence and her wide circle of friends, albeit husband Joe does most of the cooking! 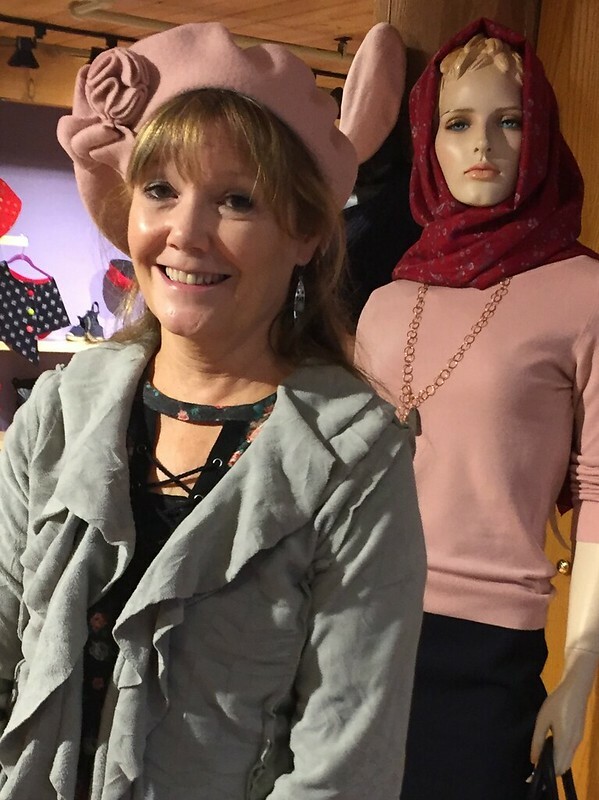 Pam’s warmth and enthusiasm imbues the C’est Chic shopping experience from the start; you might even be heard to say “Vive la France” before you leave. C’est Chic Boutique is located at 210 North 2nd Street in the North Loop between 2nd and 3rd Avenue North. Hours are Monday through Friday, 11am – 6pm; Saturday, 10am-6pm; and Sunday, 12 noon to 5pm. Website is www.cestchicboutique.com, or call the shop at 612-339-1600. Journalist and free-lance writer Merle Minda writes about travel, business, people profiles and other subjects for a number of national and regional publications, including Delta SKY, Mpls/St. Paul Magazine, Twin Cities Business, Star Tribune, Twin Cities Statement, Minnesota Monthly, and now Mill City Times. She can be reached at mminda@earthlink.net or TravelOverEasy.com on the web.